It's not just samples that get recycled in the Dutch capital, Rembrandtplein's Studio 80 occupying an old national radio studio. 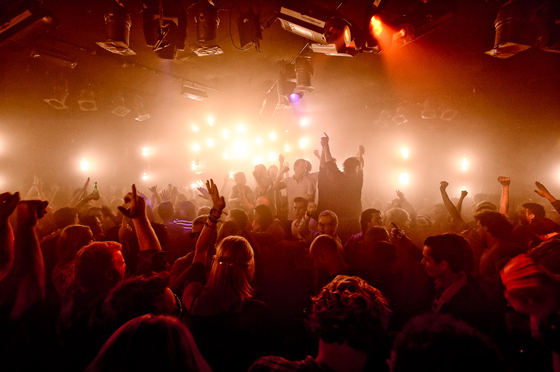 A focal point during ADE, it's also a local favourite amongst Dutch DJs, 2000 and One celebrating his birthday there this year and Boris Werner — following a 10-hour set to celebrate 10 years in the game on 10/10/10 — playing an annual set of 10 hours plus, the club promising to stay open for as long as he can keep going, and even throwing brunch in for late/early arrivals. If that's not accommodating, we don't know what is.